Flowers are not just for birthdays anymore. 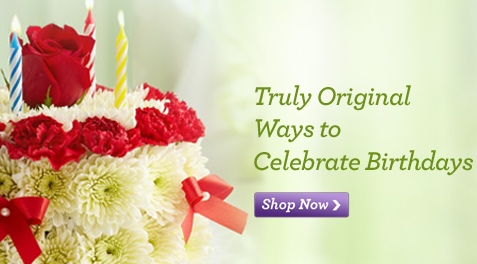 Use this 1800Flowers coupon code to get 15% off of your next order. Surprise your mom on YOUR birthday. Cheer up your boss after yearly inventory. Perk up your husband…because everyone loves flowers. Use code DEALPRO15 at checkout to receive 15% off your 1800Flowers order. You’ll enter this directly below the prompt for “payment information” on the checkout page. This code expires September 30, 2012.
Who are you going to celebrate with flowers?